Concussion, dizziness and vertigo are common conditions. What are they and how can they be treated? Concussions are the most common form of mild traumatic brain injury. Often the result of being struck or bumped or in the head, concussions cause a temporary disruption in brain function that may or may not result in immediate physical or mental symptoms. Contrary to popular belief, most concussions do not result in loss of consciousness. Dizziness and vertigo are two of the most common reasons for doctors’ visits in Australia and throughout the rest of the world. The term dizziness refers to a range of uncomfortable sensations, including feeling light-headed, feeling faint, losing your normal sense of balance, feeling woozy and having a false feeling of your body spinning around or moving to one side.Vertigo is a particular kind of dizziness. Please visit the Brain Hub website for more information. “Dr. 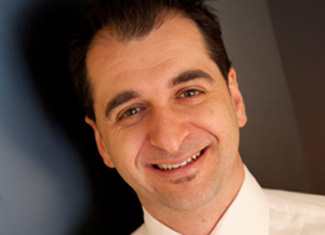 Rinaudo is currently undertaking a PhD in Vestibular (balance) therapy at University of New South Wales and Neuroscience Research Australia (www.NeuRA.edu.au), working alongside leading researchers and Neurologist in the field. “His training in Australia and overseas with Prof Ted Carrick and at the Cerebrum Health Centers (www.cerebrum.com), has led him to become a sought after practitioner when it comes to helping people suffering from concussions, whiplash, mild and acquired brain injuries, balance and vertigo disorders like BPPV, vestibular migraines and Mal De Debarquement syndrome.